This is one of those books that everyone seems to nod knowingly when you mention its name. The title just rolls off young tongue when you say it, and is so evocative. I always thought it referred to the craving for water you often feel after eating chocolate. However, I later found out that it actually refers to a Spanish phrase meaning emotions almost boiling over, referring to how hot chocolate is made in Mexico. After watching the film adaptation of the book, I managed to somewhere find an incredibly battered copy of the book. The copy was so battered, it is literally the first book I think I’ve ever seen with an actual bookworm. Nevertheless, I was very ready to read it. My attempt at making one of the book’s recipes, cream fritters,. I think I under-cooked the custard, or under-beat the egg white, but anyway I only managed to fry up three of them before everything essentially disintegrated, so if any colleagues are reading this, I was going to bring this into work, but be grateful that I didn’t! Also, after the fiasco of trying to fry a fourth fritter, there was no chance I was going to attempt the complicated syrup recipe in the book (more egg white) so I just went went with golden syrup. They tasted OK in the end, like very rich eggy pancakes, but a far cry I’m sure from what Esquivel had in mind. “Like Water for Chocolate: A Novel in Monthly Instalments with Recipes, Romances and Home Remedies” by Laura Esquivel and translated by Carol and Thomas Christensen is a Mexican magic-realism romance novel. The story follows Tita, the youngest of three daughters in the De La Garza family, who falls in love with a man called Pedro. However, as the youngest daughter, Tita is forbidden to marry by her mother who instead forces Tita to look after her until she dies. In an interesting twist of logic, Pedro decides to instead marry her sister Rosaura in order to remain close to Tita. However, confined by her duties and relegated to the kitchen cooking the most sumptuous meals, it isn’t long before Tita’s emotions start to seep out. This book is simply delightful. I have a real soft spot for books that have recipes in them, and this entire book is peppered with traditional, hearty Mexican recipes. Real soul food. I love how intertwined Tita’s cooking was with her emotions, and I loved the subtlety of the magic that sweeps through the house whenever Tita becomes emotional. I also loved the story of Gertrudis, the middle sister, who is a beacon of sexual liberation and girl power. It’s a wild tale, with increasingly outrageous and unlikely events, and it is immensely fun to read. I really enjoyed Esquivel’s writing, and there is a tongue-in-cheek aspect to it throughout the entire novel. I think that there were just a few things that were a bit annoying about this book. I found the interlude where Tita leaves the manor in a great state of depression to be really quite tedious, and the characters that were briefly introduced at that point to be pretty beige (although an interesting insight into the ethnic diversity of Mexico). I also wasn’t that sold on Pedro either, who seemed to be throughout the story an irredeemable idiot. Nevertheless, a magical Mexican romp that will leave you in a state of incredulity. Definitely worth a read if you want something that doesn’t take itself too seriously. I received an advance reading copy of this book courtesy of Harry Hartog. 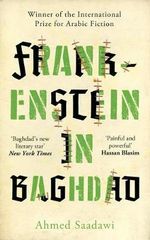 “Frankenstein in Baghdad” by Ahmed Saadawi is a horror novel that puts a modern spin on Mary Shelley’s “Frankenstein” by reimagining the creation of the monster shortly after the US invasion of Iraq. The story is set in a neighbourhood in Baghdad, the capital city of Iraq, where an old woman called Elishva lives alone waiting for her son Daniel (whom everyone, including her daughters, believes is dead) to return home. She has two rather unsavoury neighbours: Faraj and Hadi. Faraj, a real estate agent, hopes to buy Elishva’s large, historical and largely undamaged home. Hadi, a junk dealer, hopes to buy her vast collection of antiques. While waiting for Elishva to finally give up her possessions, Hadi has been engaging in a strange compulsion to collect body parts after the many explosions in Baghdad. When the enormous corpse goes missing, up-and-coming journalist Mahmoud investigates the escalating violence and strange murders that start occurring in the city. This book started out very intriguingly with a report from a mysterious committee that makes recommendations in relation to the activities of the Tracking and Pursuit Department and the arrest of an author who had prepared a 250 page story. The book then starts from there. Thematically, this was an incredibly interesting story that uses the corpse made up of disparate body parts as a shrewd metaphor for the war in Iraq. Saadawi presents a scathing look at the way war becomes self-sustaining through corruption, greed, revenge and desensitisation. Mahmoud provides an interesting perspective as a character who straddles ethical and unethical journalism. Jonathan Wright’s translation from the Arabic feels smooth and nuanced. However, I struggled with some parts of this book. 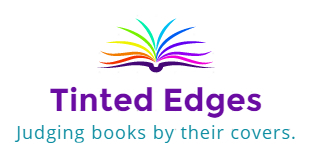 There were very few female characters in this novel and the women who were featured seemed to fall within the tropes of crazy cat lady, ice queen and replacement love interest. None of the women have much agency or personality, and this even the violence in the streets and due to bombing mostly focuses on men being killed. This is also partly a horror novel, and while the symbolism behind the corpse is very strong, the mechanics of how he gains and sustains life are very disturbing. I think I probably found the chapters with Mahmoud the least engaging. Despite the fact that there was probably a good reason for his story being largely separate from the corpse’s antics in Elishva’s neighbourhood, every time the story returned to him it felt jarring and dull. Anyway, this isn’t an easy topic or an easy book, but as my ARC wasn’t a complete copy (which I didn’t realise until I reached the end), I was hooked enough to buy an eBook version and finish the last few dozen pages on my eReader. This is my first Iraqi novel, and it was a vivid and visceral insight into the impact of the war on a city. As is becoming tradition, I received a copy of this book in last year’s RedditGifts book exchange (in March 2017, to be precise), and I am only just now getting around to reviewing it. I’ve already received my book from the 2018 exchange, but it’s highly unlikely that I’ll get around to reviewing that until next year either. One thing I always put in my exchange preferences is that if my Santa is from another country, I really like to receive books from that country. While this doesn’t always work out to be particularly interesting because a huge proportion of people on Reddit are from the USA, in this case I was really excited to get a translated novel by a renowned Italian author. “Timeskipper” by Stefano Benni and translated by Antony Shugaar is a magic realism novel about an eponymous young boy from the mountains in Italy who is on his way to school when he bumps into a god in the woods. Given the gift of a duoclock, Timeskipper now has the ability to see into the future. For his small village in post-war Italy, the future looks pretty bleak as the politics and progress threatens the idyllic rural lifestyle he, his family and his friends live in. The future is also filled with plenty of adolescent anxiety and this novel is a bildungsroman as much as it is political satire. This was a rich and clever novel that captured the psyche of a teenage boy excellently. Timeskipper is a charismatic protagonist who tells the most outrageous stories that neither the reader nor the other characters can ever fully determine how much is true and how much is hyperbole. I think some of my favourite parts of the book are Timeskipper’s interactions with his long-term love and on-again-off-again girlfriend Selene and how irreverent they are with one another, and how they navigate the changing times. I also really enjoyed the absurdism of the student protests and I felt like Benni was at his best sending up the intricacies and self-importance of student politics. However, there were some things that made this book a bit difficult. You can’t really talk about a translated book without some words on the translator. This is a very complex book, and Shugaar made a valiant effort to convey all the nuance of Benni’s very rich writing style into English. However, there were a lot of things in the book that did not seem to make sense and I couldn’t tell if it was a translating choice or if it was a mistake. For example, throughout the book chickens are referred to as chickins. Typographical error? Specific choice? Benni’s joke that didn’t translated to English? I have no idea. Doing some additional reading, I think that there is a lot of symbolism and are a lot of references in this book to Italian historical events but to someone not familiar with Italy’s history these literary devices weren’t readily apparent. Shugaar is cognisant of this, but it is not until you get to the translator’s note at the end of the book that some of these issues are raised. I think that what would have been more helpful would have been to include footnotes throughout the book like other translations I’ve read to help convey meaning where a direct translation isn’t always available. Anyway, while this was at times a difficult book to read, Benni’s playfulness and pointed observations nevertheless did make it through translation. It shows a different facet to post-war Italian history, and I’m tempted to read other work by Benni to see how it is handled by other translators. This was the set book for the March Asia Bookroom book club. It has a beautifully understated cover design that hints at the contents but gives away very little. However something that is very telling is that it has been longlisted for the Man International Booker Prize. “The Stolen Bicycle” by Wu Ming-Yi and translated by Darryl Sterk is a literary novel set in and around Taiwan and explored over several decades. The narrator, an established author and bicycle enthusiast called Cheng, tells the story of his family. However, to tell the story of his family, a family whose history is made up of a succession of stolen bicycles, there are some things he has to track down. While he searches for answers about his father’s disappearance and unaccounted-for bicycle, he meets many interesting people along the way with their own usual stories. A lot of people have recommended Murakami to me over the years as a master of storytelling and magic realism. This is better. Wu has an uncanny eye for finding the humanity in everything. This book draws out the heart of Taiwan and its history, but also goes to the soul of the human condition. This is a book about trust, kindness, loss, obsession, generosity and, above all, bicycles. There are few criticisms to make about this book. However, I think some people may find it a little slow-paced and meandering at times. There are lots of stories interwoven throughout this book and it sometimes can be hard to find a common theme. However, ultimately, the reader’s attention is drawn back to the narrator’s favourite topic: the bicycle. An excellently-written book and a brilliant insight into the diverse history and people of Taiwan. This book will linger with you for a long time and teach more than you ever thought possible about bicycles.